Timmothy Pitzen; righthand photo age-progressed to 13 years. 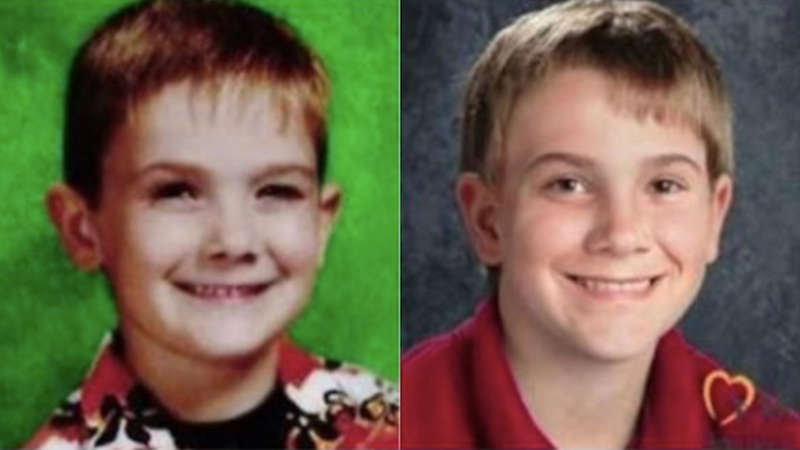 A teenage boy identifying himself as Timmothy Pitzen, who went missing in 2011 at the age of 6, told police in Ohio he escaped kidnappers who have been holding him for seven years. Pitzen’s disappearance made headlines after his mother, Amy Fry-Pitzen, picked him up from school in Aurora, Illinois on May 11, 2011, taking him on a three-day trip before she was found dead from suicide in a motel room. Her son, Timmothy, was gone when investigators arrived; notes she left behind said he was safe, but would not be found. Two detectives made the five-hour drive to the Cincinnati area Wednesday to talk to the boy, Aurora police Sgt. Bill Rowley said. The FBI is currently in the process of conducting DNA tests to identify the teenager, a process that will take around 24 hours. Residents of Newport, Kentucky, who saw the boy initially thought he was a “suspicious person,” until they saw bruising hidden by his sweatshirt and realized he was scared, WCPO Cincinnati reports.